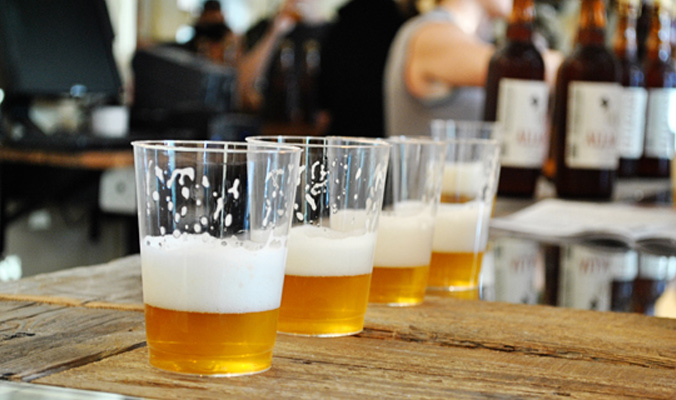 The first written record of pale ales popped up in a Calcutta newspaper in the early 1700s. Fast forward a few centuries, and pale ales can be broken down into several categories. But what’s the difference? India Pale Ale (IPA): With an ABV range of five to seven percent and a whole lot of hops, the taste is typically light, with a floral, hoppy finish. American Pale Ale: In the ’80s, the U.S. created a louder version of the English IPA: including higher ABV, American-grown hops—and more of them—to create a piney, more bitter alternative. West Coast IPA: Most U.S. hops are grown in the west, which breweries in that region take advantage of, producing hoppier IPAs that result in a more bitter outcome than their East-Coast counterparts. East Coast IPA: Geography also plays into East-Coast breweries’ IPAs—they stick closer to the traditional, English version of the drink, favoring malty sweetness over strong, bitter tastes. Double IPA: Like an IPA, but with more hops and malt, leading to a higher ABV. The complexity of the beer doesn’t mean bitter, necessarily; the high malt levels offset the hops and create a smoother taste than most IPAs.